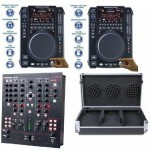 DJ Package and Complete DJ Systems perfect for a Birthday Gift. 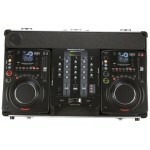 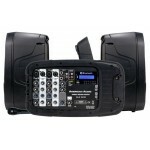 If you want a complete DJ system out of the box we carry DJ packages. 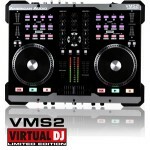 DJ packages are plug and play and we carry the best packages for beginners and pro DJs alike. 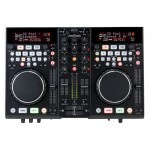 Check the description of the item. 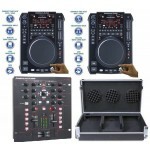 Some come with the CD players, mixer, case, microphone, and headphones. 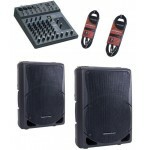 Along with those items, we also have complete DJ packages with speakers, amplifier, and speaker stands included. 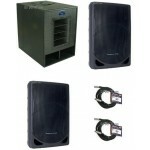 We can also piece a system together if you do not find one that suits your specific needs. 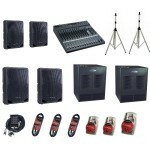 Flex 100 MP3 System System Includes: - 2x Flex 100 MP3, Single CD Players - 1x Q-D6, Mix..
System Includes: (2) M822FX PA Mixer (2) XSP-10A Powered Speaker/Monitor (2) TRSXLR 1/4 inch ..
System Includes: (2) M1224FX PA Mixer (2) XSP-12A Powered Speaker/Monitor (2) TRSXLR 1/4 inch..
System Includes: 1 x M1624FX - 8 Channel Mono or 4 Channel Stereo PA Mixer 2 x XSP 10A - 10" F..
System Includes: 2 x XSP15A - 15" Self Powered Speaker 1 x PXW 15P - 15" Self Powered Sub 2 x..
VERSADECK The American Audio Versadeck is a 2-channel Midi Controller that includes Vir..
VMS2 The American Audio VMS2 is a 2-Channel Midi Controller that comes bundled with Vir..
VMS4.1 The American Audio VMS4.1 is a 4-Channel Midi Controller that comes bundled with V..
System Includes: (2) Radius 3000 (1) 10 MXR Mixer (1) Radius System Case ..
System Includes: (2) Radius 3000 (1) 14 MXR Mixer (1) Radius System Case ..
System Includes: • 2x Speakers • 1x Mixer • 1x Microphone • 2x 16 foot / 5m speakers c.. 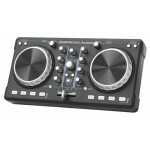 The ELMC1 is a portable 2-Channel DJ Midi Controller from American Audio. 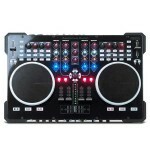 This DJ Controller is e.. 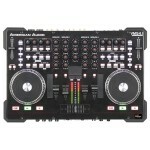 The American Audio VMS5 is one of the most comprehensive DJ Controller ever designed for per..